Turner Sports to Present Expanded CES Showcase Centered on Sports Business Innovation Live from Las Vegas Beginning Thursday, January 5. Sports Business Innovation at CES Presented by Turner Sports to Include Series of Featured Panels, ELEAGUE Showcase & Live Telecast of TNT’s Inside the NBA. Turner Sports will be at CES 2017 in Las Vegas once again with the must attend Sports Business Innovation panel featuring NBA Commissioner Adam Silver and NCAA President Mark Emmert. The Turner ELEAGUE eSports asset has a live studio show scheduled to discuss the creation of the inaugural ELEAGUE Major. Tuner Sports is also partnering with the FIA Formula E Championship Las Vegas eRace virtual race. Add these to the TNT Inside the NBA studio team session and you have a full lineup of game-changing events suitable for all ages. The Sports Techie community blog continues to provide sports tech news and stories involving Turner because they are leading the industry with technological innovation, business development and fan engagement. The NBA announced this week their plans to broadcast one game a week by NBA Digital and NextVR using virtual reality technology. The Thursday, January 5 schedule is packed full of sportsbiz. 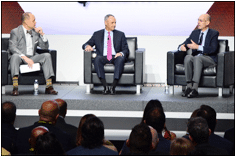 The Sports Business Innovation at CES Presented by Turner Sports in partnership with CTA and Foxrock Partners, and sponsored by Ford and NextVR begins with a series of panels featuring Silver and Emmert as key participants. Read about the Sports Business Innovation panel from last year and watch the video below to learn more. Sports Business Forum presented by Turner Sports at CES from Turner Sports on Vimeo. 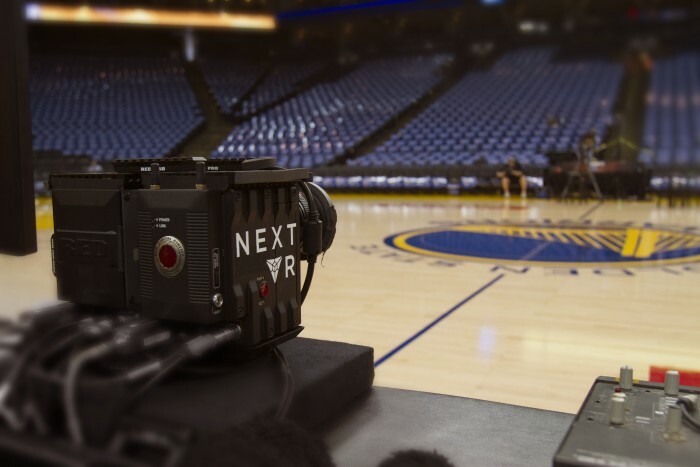 The NBA announced this week their plans to broadcast one game a week by NBA Digital managed by Turner Sports and NextVR using virtual reality technologies. According to Engadget, all you need is a Gear VR headset, a subscription to NBA League Pass at a cost of $200, and an approved live and on-demand streaming service which then enables you to view each game on your smartphone, tablet, set-top box, and also the internet. Initial broadcasts will display a 180-degree field of vision, later in the season the full 360-degree perspective will be available for special content. Additional VR features include live expert commentary, real-time scores, a deep dive analysis of stats, the shot-clock, and the all-important surround sound of Golden State Warriors marksmen Stephen Curry and Keven Durant swishing three-point shots, or LeBron James dunking down a basketball as the Cleveland Cavs try to defend their NBA title. Try the free trail on October 27 during the Spurs and Kings game. Can NCAA Digital also managed by Turner Sports be far behind implementing VR for the upcoming college football bowl season and March Madness basketball broadcasts? Danny Keens, VP of Content and Partnerships at NextVR, told Engadget about talks with “many of the world’s top sports leagues” to create more fan experiences. TNT’s Sports Emmy Award winning Inside the NBA studio team ends the full days of activities live from CES with host Ernie Johnson and analysts Charles Barkley, Kenny Smith and Shaquille O’Neal, providing pregame, halftime and postgame coverage of the NBA on TNT doubleheader. ELEAGUE Partners With FIA Formula E Championship For Las Vegas eRace. ELEAGUE will partner with the FIA Formula E Championship for its Las Vegas eRace on Saturday, Jan. 7. The virtual race, including a specially designed track incorporating the famous Las Vegas Strip, will feature all 20 Formula E drivers and 10 fans from across the world competing for a share of a one million dollar prize pool. ELEAGUE will produce the event coverage on Twitch. Watch as Lucas di Grassi takes to the wheel of the new Formula E car to drive along the famous Las Vegas Strip as part of the first public roadshow of the new fully-electric race car. Formula E On The Streets Of Las Vegas! Ten lucky fans will be selected to participate in the event. Racers will operate Playseat gaming rigs running rFactor 2 software. Cloud Sport will ensure that the Road to Vegas Challenge is correctly regulated, and the series of online qualifying races is realistic as possible. The 10 best gamers will then show off their driving skills against 20 Formula E drivers in the Las Vegas eRace at the Venetian Hotel. Enter the Road to Vegas Challenge, including full terms and conditions, and a breakdown of the format. 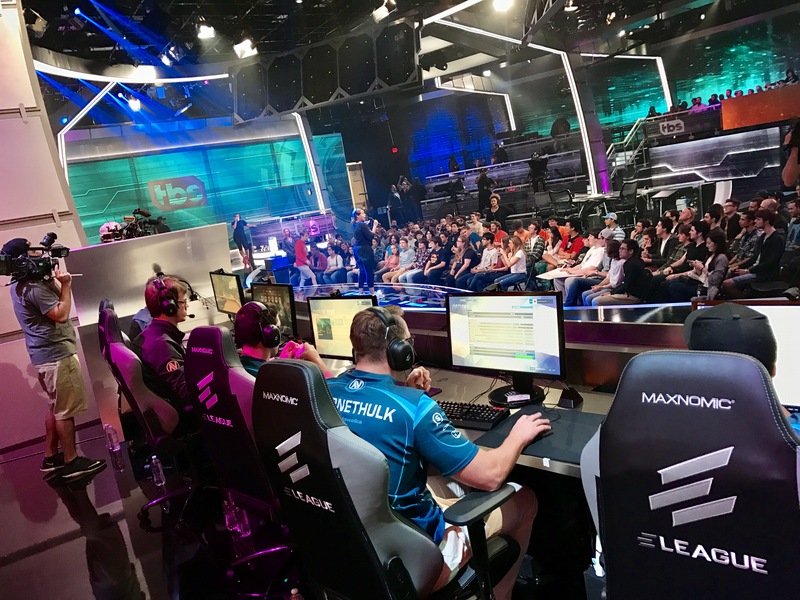 The sports technology partnership between Turner and WME | IMG is ready with Season 2 of ELEAGUE professional esports organization beginning tonight. The 10,000 square foot ELEAGUE arena at Turner Studios was designed for eSports, live studio audience, TV and web streaming. The sophisticated production features 26 cameras including 12 devoted to capturing point of view perspective for each player and one focused on the collective team throughout the competition. The studio is bringing back the JitaCam, the ceiling camera that captures 360-degree angles of the event floor. The studio also has 25,000 square feet of LED lighting. Season 2 of ELEAGUE begins tonight hosted at Turner Studios. The next Counter-Strike: Global Offensive (CS:GO) Major Championship on January 22-29, 2017, in Atlanta at Fox Theatre is another Turner Sports showcase event. The Grand Final will be televised live on TBS and simulcast on Twitch. The collective 16 Legend and Challenger teams will compete for the title of CS:GO Major Champion, as well as earning the majority share of a one million dollar prize pool. The Overwatch® Open tournament on September 30 at ELEAGUE arena based the new Blizzard Entertainment first-person shooter video game. I attended The Overwatch® Open tournament on September 30 at ELEAGUE arena based on the new Blizzard Entertainment first-person shooter video game. Seeing the quality of the production, the skill of the players and the passion of the fans in person was an amazing evening of fun and hospitality. A full morning of panels will bring together leading executives and personalities to discuss innovations that are driving the continued evolution of the sports industry. The panel discussions will also examine the ever-changing consumption habits of sports fans across an increasing number of screens and devices, along with a in-depth conversation on the dramatic growth of esports as a global business.  Ernie Johnson moderating a session with NBA Commissioner Adam Silver and NCAA President Mark Emmert, along with Turner Sports analyst Grant Hill and WNBA star Sue Bird, discussing the ways technology is driving the ever-changing landscape of sport and how organizations and players are taking advantage of the inherent brand and business-building opportunities.  A collection of athletes examining unique tech-driven partnerships and business ventures that have been leveraged to enhance their individual brands and establish a deeper connection with sports fans.  Bleacher Report CEO Dave Finocchio and Pac-12 Commissioner Larry Scott among panelists sharing perspective on the evolution of consumer engagement as fans continue their insatiable appetite for real-time sports content across an ever-growing number of platforms.  ELEAGUE host Richard Lewis moderating a panel with ELEAGUE General Manager Christina Alejandre and additional experts focusing on the rapid growth and rise of esports, including a look ahead to the future of the industry. ELEAGUE, the professional esports organization formed in partnership between Turner and WME | IMG, will present a live studio show from CES previewing its first-ever “ELEAGUE Major,” a championship esports event featuring Valve’s Counter-Strike: Global Offensive (CS:GO) competitive video game. ELEAGUE host Lewis will be joined by analysts Jason “Moses” O’Toole and Duncan “Thorin” Shields to preview the ELEAGUE Major, held January 22-29 in Atlanta. TNT’s award-winning Inside the NBA studio team with host Johnson and analysts Barkley, Smith and O’Neal will be on site at CES. The popular NBA studio show will be televised live from the Hall D show floor with pre-game coverage beginning at 4 p.m. local time, leading into TNT’s NBA doubleheader. The iconic team of Johnson, Barkley, Smith and O’Neal will continue with halftime and post-game coverage throughout the evening. For more information visit Sports Business Innovation presented by Turner Sports (January 5-7) at CES. Turner Sports Business Innovation, ELEAGUE, Las Vegas eRace, NBA Virtual Reality At CES – SportsTechie blog. Sports Techie, If you did not know it before, you do now, Turner Sports is changing the face of sports tech and business daily. Their Sports Business Innovation at CES provides a unique look into sports technology, as well as professional, college and others sports, and the worldwide explosion of mobile devices, apps and solutions. NBA Digital is delivering incredible virtual reality. The ELEAGUE eSports focus aimed at millennials and young kids is taking the nation and world by storm. Finally, there just may not be a better city to showcase your wares than Las Vegas. See y’all later in Seattle, Atlanta and around the world.